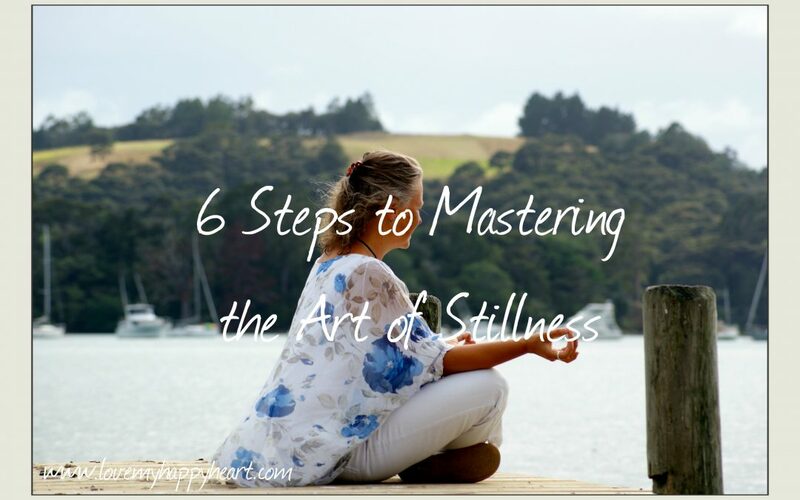 Is stillness the new movement that will help us find happiness? As I put the finished touches to my Seasonal Happiness Programme – Winter Series, I am enjoying putting together the section on using meditation and mindfulness as part of my Happiness Prescription. 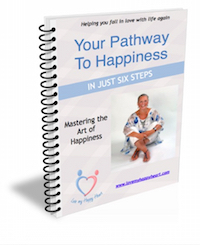 It has inspired me to share with your how to master the art of doing nothing so that we can find our inner happy. Master the art of doing nothing, are you crazy? I can hear the screams of incredulity from here. There’s the kids, the job, the dog, the shopping, the housework, the gym, dinner, the family outing to organise and mum’s birthday next week and you want me to do nothing!! Yes, I know it sounds mad, because we have been conditioned to be busy. We have come from an age where ‘doing’ seems to the expectation. If you want to be successful you have to ‘take action’. Yet the new school of thought is the exact opposition of this – Doing is so last year. Today’s blog, sets out to show you how to transition to finding stillness in our crazy worlds. For decades the message has been for us to actively engage in order to achieve results. All the self-help books during 1980 and 1990’s all gave the same message. ‘Put the effort in and you will reap the rewards.’ And so we dutifully complied and got busy. We threw ourselves into our careers, started families, studied and juggled the many balls that constantly seemed to be in the air at any one time, waiting for our desired outcome to arrive. That might have been the promotion, the new career, the happiness, the weight-loss, saving for the holiday. It was all about doing, action, movement and sometimes, let’s face it, sheer hard work, determination and effort. We were conditioned to think that without ‘blood, sweat and tears’, we’d get nothing, be nothing and have nothing. And now, thirty years on – blimey is it really that long ago, the new wave of thought is that being still is the art for us to now master. When we find stillness, we have a different way of looking at things, a calmer space to deal with life’s ups and downs. So instead of facing our challenges with an action plan, we take time to reflect on what it might be showing us, learning from it, asking questions of it and then making conscious choices about what we need to do, or not do to move forward. We have become so entrenched in being active that we believe it is the only way to get things done. Now our challenge is to break that train of thought and consider behaving in a completely different way. Here’s my perspective on how to master the art of doing nothing. This is such an important time of day that pretty much sets the scene for how we experience the day ahead. We’ve all had it – woken up with a start, had a bad dream, slept lightly or over-slept. It leaves us feeling less than refreshed. That feeling then seems to stay with us and we never quite manage to get into fourth gear. Rather than hearing the alarm and jumping immediately out of bed, take a couple of minutes to allow yourself to come round. Notice the room around you and smile. Acknowledge a couple of things that you are grateful for and this might be as simple as ‘I’m grateful for waking up’ or ‘It’s a beautiful day’. Gratitude puts you in a much healthier place. Stillness first thing in the morning is a great way to start your day. Focus on things that you have appreciated, valued or enjoyed. All too often we focus on the negative events, people or situations and this puts us in the wrong space for really good quality sleep. This, together with our waking moments, are times when our subconscious is particularly receptive and enables us to programme in positive thoughts and appreciations. Whilst we sleep these go to work effortlessly, giving our mental muscle are really good workout – and we’ve not even broken a sweat. Meditation has certainly hit our screens in the last couple of years and is less WOOWOO than it used to be. Scientists are showing how being still for even just 10 minutes a day can be beneficial to managing our stress and happiness. Learning to still the mind and slow down the chatter takes our brain activity into a much more passive and relaxed mode and that stillness brings us all sorts of clarity, peace and relaxation. If the word meditation is uncomfortable for you, then use a word that works for you. It can be as simple as sitting quietly with no other distractions around you or relaxation. There are no rules about how you should meditate. Sat, lying, at work, at home, in the bath – all places where you can focus on doing nothing and thinking nothing. The only place not advisable to meditate is whilst driving or operating machinery as it can sometimes induce sleep or drowsiness. The art is actually not to DO anything. Just sit and focus on your breath. Allow the 50,000 thoughts we have chatter away and come back to the breath. Listen to calming music if that helps. There’s some great studies now about binaural beats sound meditation, which induces a great quality of sleep. Our days are busy, full of activities and overflowing with thoughts, tasks and judgements. Until we can find a way of breaking some of those old ‘busy’ conditions, we could simply check in with ourselves and find out how we’re feeling. I came across this from a very wise man and it is a great tool for helping you deal with stress or anxiety. Start by asking, ‘How am I feeling, right now?’ Acknowledge whatever emotion comes up and then ask, ‘What do I need to do about that emotion?’ Remembering of course that it might be that you need to do absolutely nothing at all. This is a much better approach than just getting caught up in the activity that we engage with unconsciously. Breathing is a unconscious activity that our body carries out 24-7, so this might be a really strange suggestion to make. What I’m suggesting is that you become more conscious of your breathing, especially when you feel anxious, angry or upset. When we refocus our mind and practise deep breathing, it immediately calms the mind and body. When we breathe from the lower part of our lungs, it signals a different set of chemicals to course through our body and this takes us out of the instinctive fight or flight response that stress induces. In that moment of focusing on the breath, we find a stillness that helps us cope. The final way to practise doing nothing, is to build in ‘you time’. Recognising that you have needs and that your batteries need recharging whilst heroically managing the day’s events, is vital. We typically invest more time into others than we do ourselves and we are paying the price for this. So we need to alter this pattern and start setting some boundaries with our friends and family that allow us to honour our private time. Whatever you choose to do with that time is up to you, although it is the act of asking for it and honouring it that counts. This place of recharge, allows you to be still amongst the madness of the environment around you and, in that place be and do nothing. Five minutes can be enough sometimes. Strange isn’t it? I’m talking about the art of doing nothing and have given you a six-pointed action plan to help you achieve it! Although my theory on the matter is that when we’ve been conditioned to be so busy and active for so long, changing radically can be challenging. We have resistant minds that interfer with our good intentions. So my idea is to make a transition and experiment with different ways that fit into your world, however that looks. There’s no sterotyping going on with stillness – it’s making it work for you in a time and place that feels right. So if you’re one of the ‘got to keep busy’ gang that I grew up amongst, then you might find some benefit in doing nothing. The stillness can be deafening and will have you experiencing life in a more rational, calm, relaxed and centred place. Surely has to be worth a try?